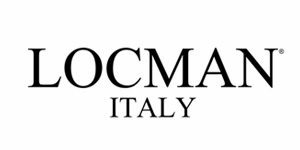 Locman Italy is renowned throughout the world for its outstanding tradition in making technically exceptional watches. With its emphasis on research and experimentation, the company has also found a place in the eyewear sector. The materials it uses to make the frames, the attention to detail and the combination of technology and aesthetics offer maximum stability and optimal application. The glasses are named after the major towns on the beautiful island of Elba, in Italy, where the company is based and where its famous watches are made.